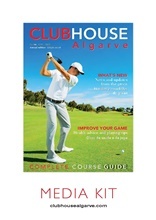 Clubhouse Algarve is a bilingual (English/Portuguese) magazine covering the local golfing scene. 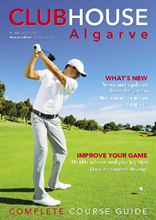 Published annually, contents range from coverage of local events to equipment, golf lessons and a comprehensive guide to the region's courses. The magazine's website features all editorial content of the printed magazine along with regularly updated news and information on events.